Micro-gaming console Ouya made plenty of noise when it picked up more than $8 million on Kickstarter, but since then, its had its share of downs. Things may be looking a bit brighter now because Ouya founder Julie Uhrman has announced plans for Ouya to go full time retail. When Ouya launched in June, it was available in select online and retail stores (Amazon, GameStop, Target, Best Buy and GAME). And now that the holiday season is almost here, Ouya wants to take things to the next level. They plan to have the micro-consoles made available in all Target stores across the U.S. before the end of October. That means people in the U.S will now be able to walk into any of the 1800 Target stores, experience the magic of Ouya, and pick up the micro console for $100. The company is aiming to give its gaming console a national footprint with coast-to-coast marketing and national ad campaigns. The national recognition and awareness that Ouya will get from the ad blitzkrieg will be amply complemented by its retail store promotions. The console manufacturer plans to send out customized displays to stores with fresh new device packaging. From November, customers can start seeing in-store promotions, video trailers, free $10 gift card offers, as well as promotion of its popular games Sonic the Hedgehog 4, The Walking Dead and others. Early next year, Ouya will also be setting up demo kiosks across stores to give customers a touch-and-feel Ouya experience. TowerFall, Clark and Fist of Awesome are some of the games being considered for the demo kiosks. 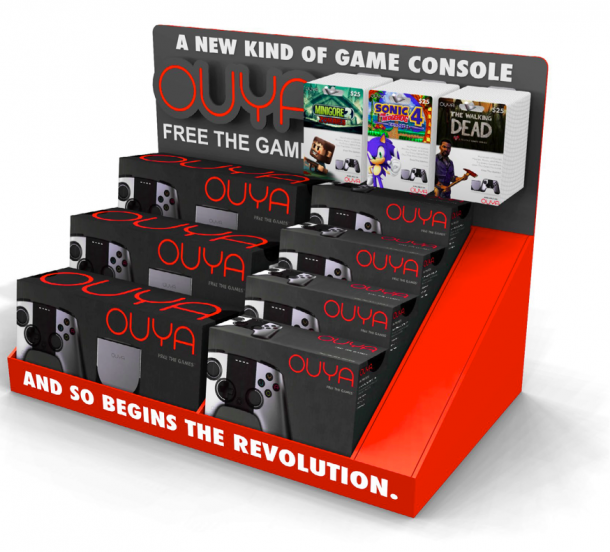 Ouya hopes to manufacture more games if the kiosks bring in good sales. Ouya reps are also in talks with Walmart to bring the whole retail experience to Walmart Stores and we can expect to hear news regarding this move in the coming days. Ouya’s retail plans may be the next big step for the micro-console developers, but they face a mighty big challenge from the eagerly anticipated Xbox One and PlayStation 4, which will be making their debut just before Black Friday. 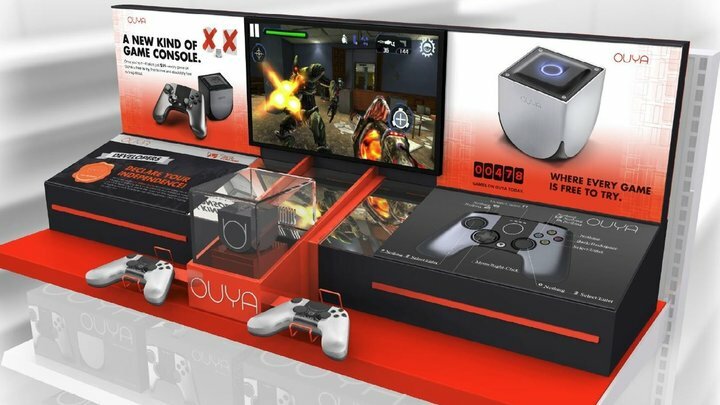 What do you think of Ouya’s retail plans? Are you considering an Ouya purchase this holiday season?